It’s said that all good things must come to an end, and so this last Wednesday saw the last ride of this summer’s Tour LaBonge. Gathering at the CD 4 district office on Fountain Ave, the ride proceeded on a 12 mile loop through Hollywood. If you’ve been reading LADOT Bike Blog for the last few weeks, you probably know all about the Tour LaBonge. This week’s Tour LaBonge takes place in and around Griffith Park and the LA River. Riders should meet up at 5:30 on Wednesday the 14th at the Mulholland Fountain at the corner of Riverside and Los Feliz Blvd. LADOT Bike Blog previously joined in on the fun for Positively Fourth Street and a ride through Toluca Lake and North Hollywood. Last Wednesday, LADOT Bike Blog suited up once more to bike the Miracle Mile. LADOT Bike Blog was out on the streets for the Tour LaBonge last week. Wednesday June 30th marked the 3rd of 6 scheduled evening rides organized by District 4 Council Member Tom LaBonge. Today, Wednesday July 7th, will see the 4th Tour LaBonge ride through the Miracle Mile. Riders meet at Tom’s Hollywood Field Office at 6501 Fountain Avenue at 5:30. On June 30th, LADOT Bike Blog had a great ride with the Tour LaBonge in Toluca Lake and North Hollywood. 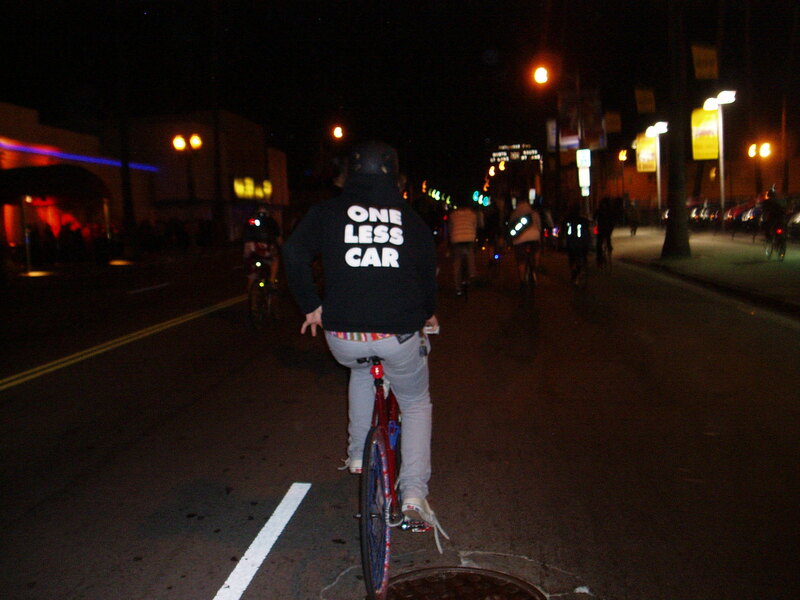 LA Critical Mass: New Experiences, New Friends, New Era? /wp-content/uploads/2010/06/p1010141.jpg 225 300 cyclist http://bike.lacity.org/wp-content/uploads/2015/04/tempBikeLogo2.jpg cyclist2010-06-28 12:05:412015-09-12 00:59:30LA Critical Mass: New Experiences, New Friends, New Era?